Collectively improvised, melody-driven, inventively original songs. A spicy concoction of avant-garde jazz, Latin rhythms, Indian beats, chamber music, wild outbursts of multilayered sound and other far-flung styles. All woven into spontaneous compositions by The Alchemists, a Boston-based free jazz band of genre-crossing musicians. Whether we begin with a discernible tempo or tune - or no set patterns at all - we always let the music go where it wants to go. 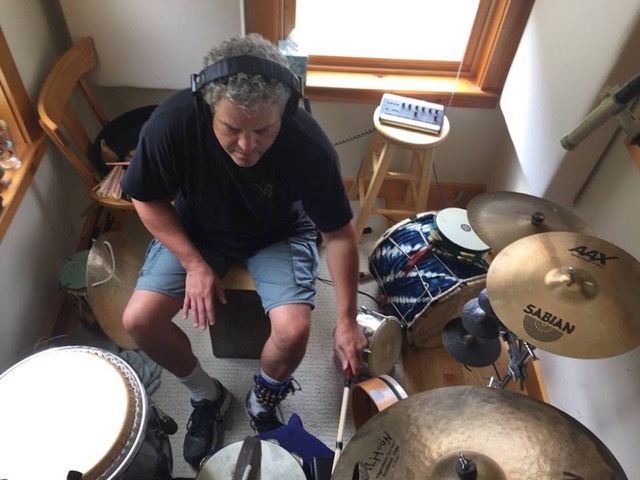 Matt teaches at Shaker Road School (Concord, NH) and is on the faculties of the Portsmouth (NH) Music and Arts Center and the Concord (NH) Community Music School. 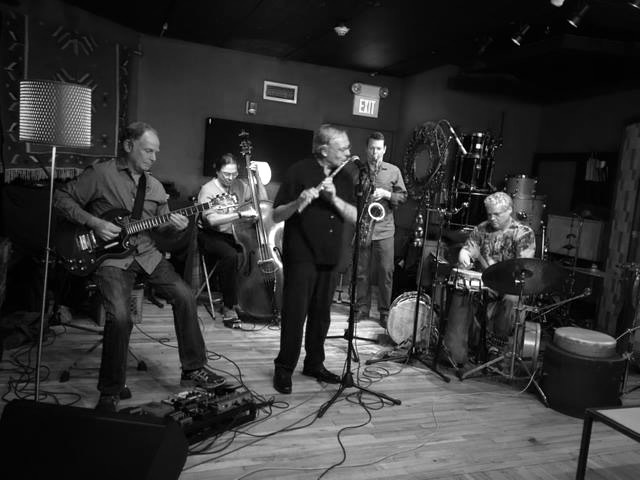 He performs widely around Boston and the Maine-NH seacoast in such bands as In Ears ’n Eyes, Sojoy, Mother Superior and the Sliding Royales and Ourbigband and has recorded with the Pandelis Karayorgis Quintet and the Charlie Kohlhase Quintet, among others. Associate Professor of Percussion at Berklee College of Music and faculty member at the New England Conservatory; Jerry is a founding member of the world-music ensemble Natraj and Club d’Elf; he authored eight widely used texts on North and South Indian, West African, Latin American percussion, and rhythm theory. As a composer/lyricist of cabaret and jazz songs, Dennis’ work has appeared in four ASCAP-MAC Songwriter Showcases in New York, while revues of his songs have been presented in Boston, Washington, DC, and New York. As a performer, Dennis has been an improvising jazz flutist for many years. Professor of the Practice in Jazz at Brandeis University and on the faculty of New England Conservatory; Bob’s compositions have been performed around the world by his own groups, The Either Orchestra, Matt Wilson and Jimmy Giuffre 4; he has performed with Charlie Byrd, Eartha Kitt, Dakota Stayton, John Blake, Richie Cole and Larry Coryell and recorded with Alan Dawson, Dave Grisman, Stephane Grappelli and George Russell, among others. Associate Professor of Guitar and Music Systems at Berklee College of Music, following 14 years in the New England Conservatory jazz department, he has participated in many recordings from Photogenic Memory (Agharta, Japan), George Jinda and World News (JVC) and the Narada label, among others and has composed music for hundreds of television shows, including programs from Scientific American Frontiers and the PBS NOVA series.